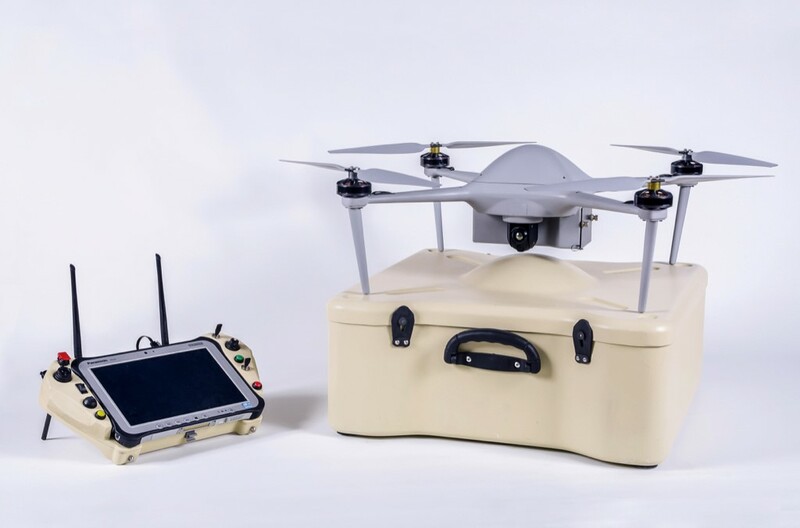 Very nice value for money Unmanned Aerial System (UAS) including state of the art quadrocopter Unmanned Aerial Vehicle (UAV), a user-friendly Ground Control Station (GCS), all communications for data and control and of course a choice of high performance optical sensor gimbals. This UAS delivers unmatched tactical advantages. The low altitude flying capability enables under–the-radar flight. Combined with a minimal acoustic and visual signature, covert operation is made possible. The delivery of real-time intelligence data to a small tactical unit or individual soldier is priceless. The data is displayed on a user-friendly control station (GCS) that present the data and information in a coherent way. The UAS is build for minimal turnaround time and immediate portability. Assembly time is under 5 minutes with plug and play functionalities. The design is ideal for tactical intelligence at the platoon level. The GCS its core is an integrated ruggedized touch-screen laptop. It enables safe operation and control of the drone. 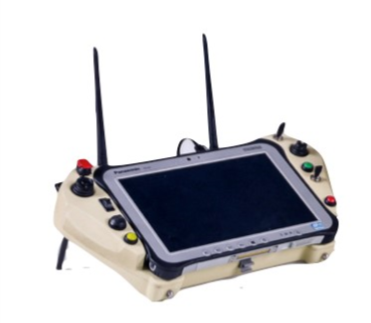 Its user-friendly interface delivers mission planning, different operational modes, payload control and UAV monitoring. It presents real-time information and uses a moving tactical map. The GCS can be man carried or mounted on a tripod.